"You can't give up, Chou." GKids has debuted the first official US teaser trailer for an animated film from France titled Funan, the feature directional debut of filmmaker Denis Do. This premiered at the Annecy Film Festival last year, where it was award with the Best Feature Film top prize. Funan is a searing and remarkable debut from filmmaker Denis Do, who uses his own family history as inspiration for a thrilling story of love, loss and enduring hope in the most trying of times. Featuring the voices of Bérénice Bejo and Louis Garrel. The story is about the survival and struggle of a young mother during the Khmer Rouge revolution in Cambodia, as she tries to find her 4-year-old son, torn from his own family by the communist regime. I've heard nothing but great things about this indie animated film, and it looks like it's as powerful and moving as it sounds. Definitely keep an eye on this - and watch out for the full-length trailer coming up. Cambodia, April 1975. Chou is a young woman whose everyday world is suddenly upended by the arrival of the Khmer Rouge regime. During the chaos of the forced exile from their home, Chou and her husband are separated from their 4-year-old son, who has been sent to an unknown location. As she navigates her new reality, working in the fields day and night under the careful watch of soldiers, and surviving the small indignities and harrowing realities of the increasingly grim work camps, Chou remains steadfast in her determination to reunite her family – even if it means risking everything. 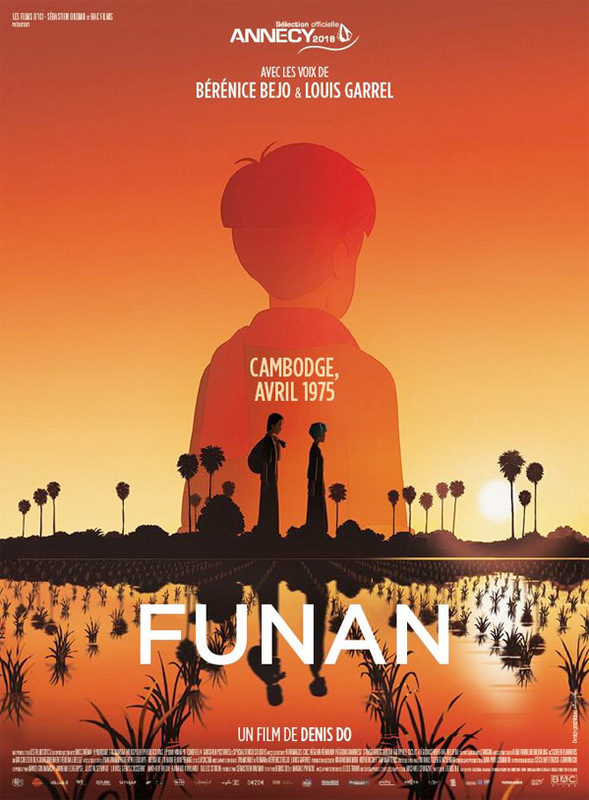 Funan is directed by French filmmaker Denis Do, a layout & storyboard artist making his feature directorial debut with this film. The screenplay is by Denis Do, Magali Pouzol, and Elise Trinh. This premiered at the Annecy Film Festival last year, where it won the top prize; and it also played at the Animation Is Film Festival in Los Angeles. GKids will release Do's Funan in select theaters starting on June 7th in the summer. For more, visit their website.